Exciting news for Louise Abel, owner of street food business The Spotless Leopard, as a license has now been granted to allow her to trade in Clifton three days per week. 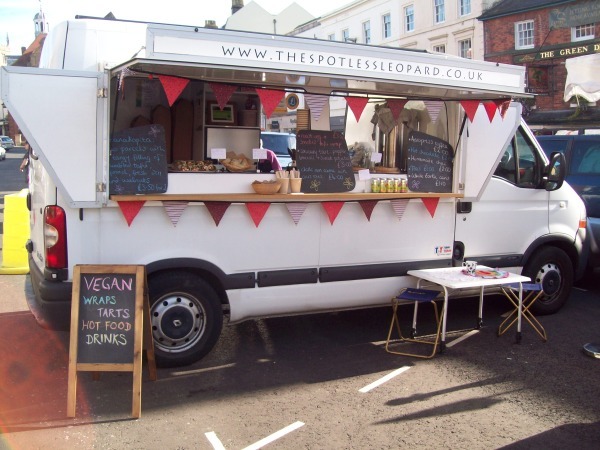 The Spotless Leopard began life just over a year ago, as a van serving 100% vegan hot and cold food, cakes and drinks in eco-friendly packaging. 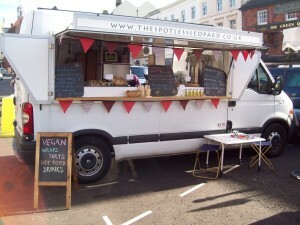 The van trades at a variety of festivals and events, as well as at the Gloucester Road Market on Pigsty Hill on Saturdays. Louise also hosts regular vegan pop up restaurants. The licence granted on January 7 2014 will now allow The Spotless Leopard to trade from 9-5 every Tuesday, Wednesday and Thursday on Clifton’s Alma Road, outside RBS and Papadeli at the junction with Whiteladies Road. For the time being, Louise will still be trading at the Gloucester Road market, but keep an eye on her website and social media feeds for updates. At a time when street food vendors are coming under pressure in Bristol, this is fantastic news, and we wish Louise well for the future! We got our pitch application accepted today! We’ll be trading Tuesdays, Wednesdays and Thursdays on Alma Road, just off Whiteladies Road! To find out more about Louise and The Spotless Leopard, visit the website, like the Facebook page or follow her on Twitter at @TheSpotlessLeop.